Product prices and availability are accurate as of 2019-04-25 11:12:02 UTC and are subject to change. Any price and availability information displayed on http://www.amazon.co.uk/ at the time of purchase will apply to the purchase of this product. 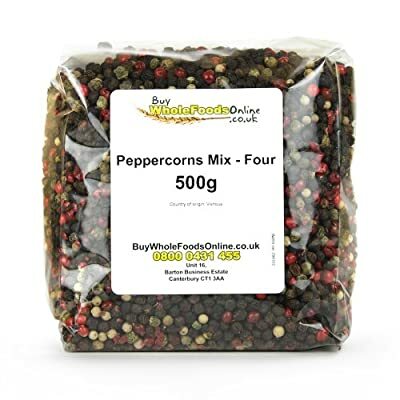 Mixed peppercorns 500g. Contains four different peppercorns - black, white, green and red peppercorns. Ideal for grinding or used whole. Spice up your cooking. 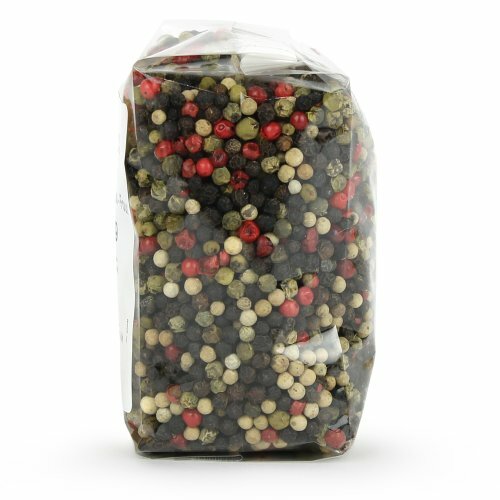 Peppercorns are the berries of a tropical vine. 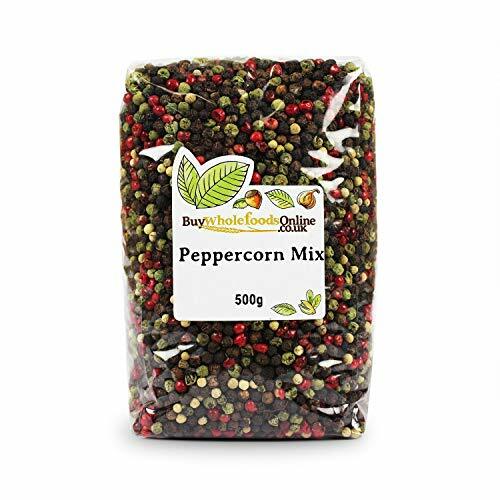 Use a pepper mill to give a freshly ground pepper flavour at the table or in cooking. Use whole or coarsely ground in marinades and sauces, or sprinkle over steak and kebabs before grilling.